Occupy groups in 'day of defiance' Jump to media player Two months after they began, the Occupy Wall Street protesters continued protesting in New York on Thursday. 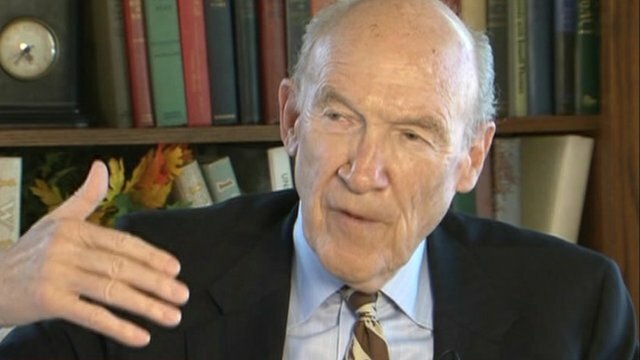 Simpson: 'There is a tipping point coming' Jump to media player Former US Senator Alan Simpson co-chaired a national commission on fiscal responsibility and explains to the BBC's Paul Adams why he thinks the US is now reaching a tipping point. Two months after they began, the Occupy Wall Street protesters continued protesting in New York on Thursday. Similar protests were held across the country, including Los Angeles and Dallas. 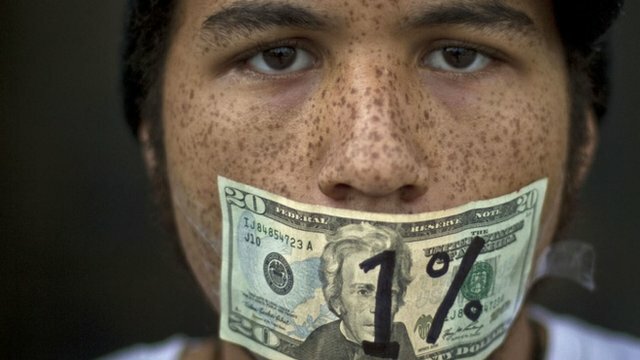 Demonstrators said that they are angry that ordinary people are suffering with high unemployment and a struggling economy while banks benefit from billions of dollars in bailouts. In New York, thousands marched over Brooklyn Bridge to cap off a day of defiance.